It started with one question: Why doesn't everyone know who Nikola Tesla is? The 'War of Currents' shaped our everyday way of life. From the light bulbs in your home to the wireless internet at the local cafe. History books in schools are riddled with Thomas Edison's greatest moments, so where is Nikola Tesla? Why don't more people know about the 'War of Currents'? 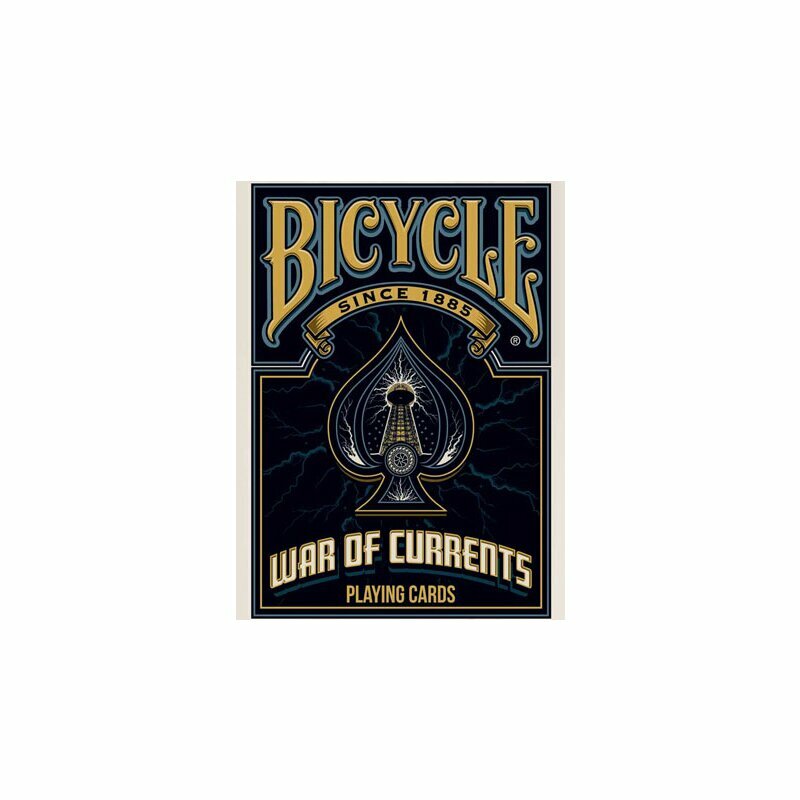 The goal was to design a deck of cards that provided a feel of nostalgia, similar to the cards from the late 1800's/Early 1900's, and to tell the story of the 'War of Currents' with our concepts. 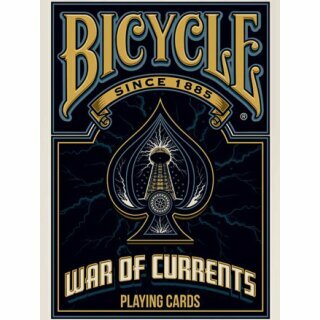 The US Playing Card Company has been making playing cards since 1885. You history buffs might note that this is very close to the beginning of the 'War of Currents'. American Made, quality printing, and a tie in history. It was a perfect match-up! 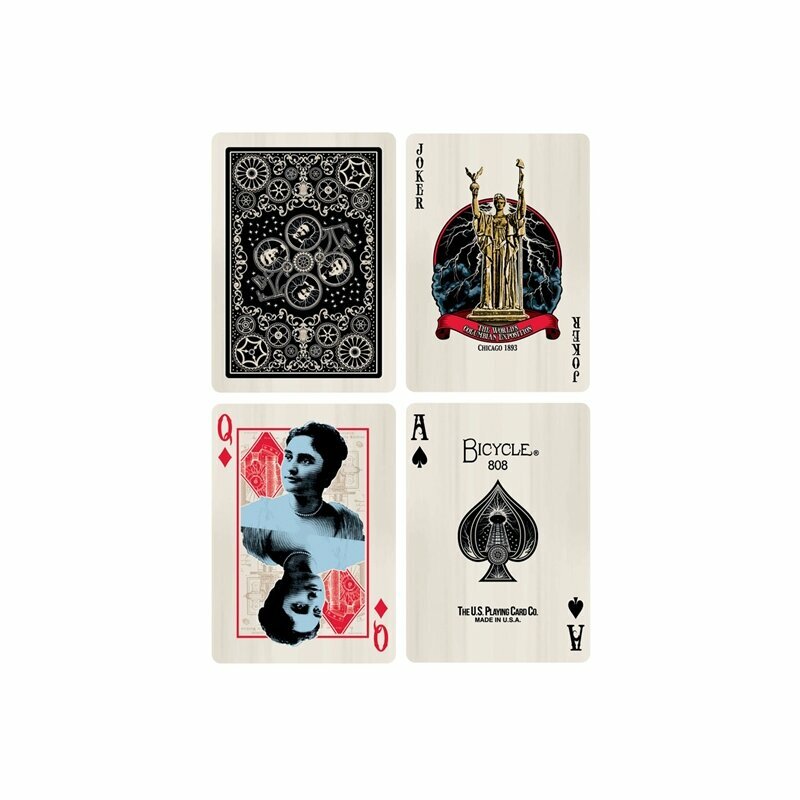 One of the ways we tried to tell the story of the 'War of Currents', through imagery, is the process we took designing our face cards. First we split our two inventors, Edison and Tesla into Red and Black. Then we split the suits into different ages. 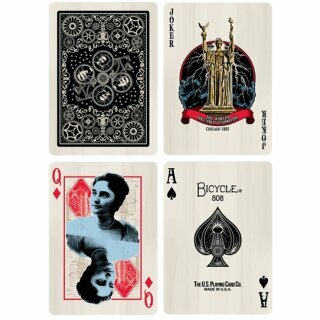 So for example, older Nikola Tesla is on the King of Spades, while younger Nikola Tesla is on the King of Clubs. We then placed an important person in the inventor's life as the Queen and Jack. As people's relationships change as they get older, so did our cards. When the inventors were younger, they worked along side each other. This means that you will find one red Tesla card and one black Edison card in your pack! So what happens if you don't know who Nikola Tesla is or you have never heard of the 'War of Currents'? Don't worry, you are definitely not alone. We have included a mini history lesson on the two info cards(You know, the cards you never use). Within minutes, you will have an understanding of who the major players are and why the 'War of Currents' is a major historical event. Also, a description of the Chicago World's Fair of 1893 can be found on one of the jokers!